Simplified after Hallam and Wignall 1997.
pre- and postextinction times ("fair game'' selectivity) or they can differ ("wanton" selectivity; Raup 1991b). Random survival with respect to trait and taxonomy was termed "field of bullet'' selectivity (Raup 1991b). Major discussions centered on the question whether mass extinctions qualify as a separate class of evolutionary mechanism and are, therefore, different from background extinctions (Jablonski 2001; Bambach et al. 2004). There is certainly a continuity of magnitude, with the "big five'' and some Early Paleozoic events occupying the ranks of highest intensities (MacLeod 2003; Wang 2003) although the simple relationship between extinction intensity and mean waiting time (kill curve; Raup 1991a) is no longer accepted because continuity of cause is lacking (Wang 2003). The processes operating during mass extinctions are not the same as those acting during background extinctions (Wignall 2004). Continuity of effects is also no longer tenable as for example the end-Ordovician and end-Devonian mass extinctions both had about the same intensities, but the former had only minor consequences for the structuring of marine communities, while the latter had a profound impact on the ecosystems (Droser et al. 2000). Mass extinctions, therefore, did have a major impact on the evolution of life although most species suffered extinction during times of background extinction intensities (Taylor 2004). 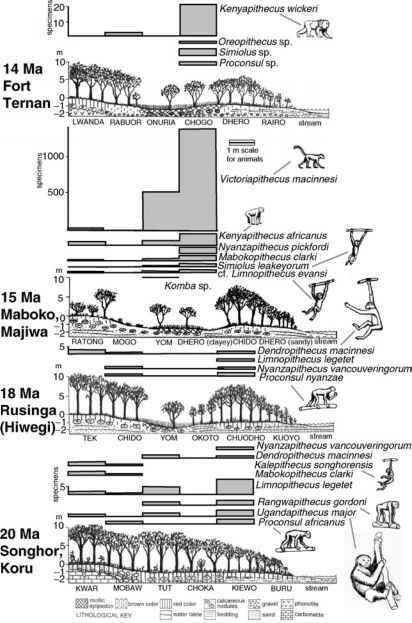 Did the major mass extinctions during the Phanerozoic have a common cause? This subject was treated by several authors, and the mechanisms include impacts (as assumed, e.g., by Raup and Sepkoski 1984), sea-level changes and the spread of anoxia (Hallam and Wignall 1997), large-scale volcanisms (Courtillot 1999), and perhaps global cooling (Stanley 1988). It is not always easy to distinguish between the different mechanisms (MacLeod 2003; O Table 16.2). Yet there is now overwhelming evidence that the major mass extinctions had their individual signature, and at the present state of knowledge the search for a common cause does no longer make sense.